Requested by adventurer and tattoo historian Vince Hemingson and worn by the original “Survivor” contestant Richard Hatch (O.K., he was naked most of the time, but he totally wore it on TV), the Survival is the most advanced Utilikilt we offer. 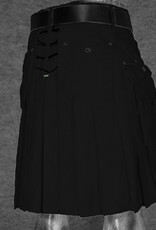 It’s the Cadillac. 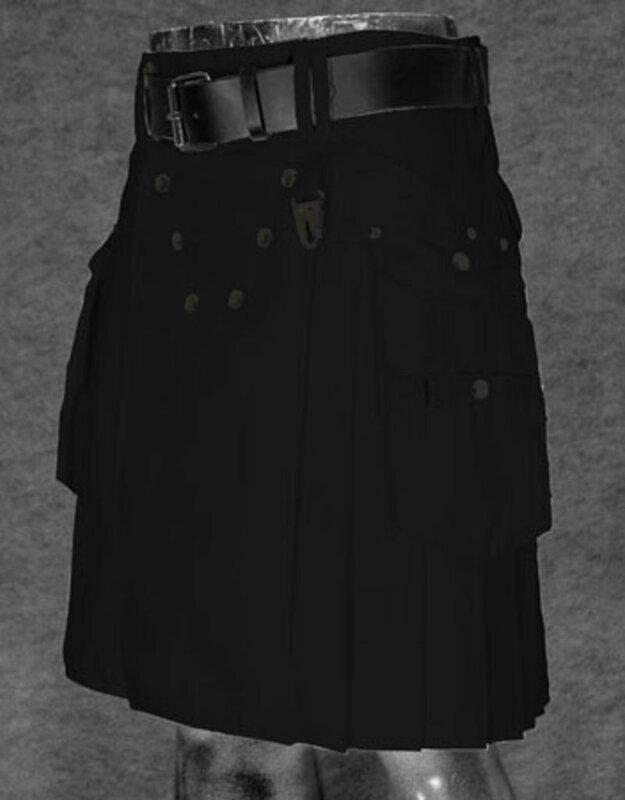 Whether you’re climbing a mountain, planning a three-week camping trip into the Black Rock Desert, or just looking for a way to carry 20 bottles of beer, the Survival is the kilt for you. The Survival features the deep internal slant pockets of the Mocker, plus a pair of detachable side-saddle cargo pockets (each with its own closure flap and belt loops.) 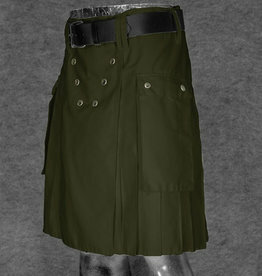 These aren’t the Workman Utilikilts, boys and girls. These kilts aren’t designed to take a beating and come out on the other side and thank you for it. You don’t take your Cadillac off-roading like you do your Jeep. 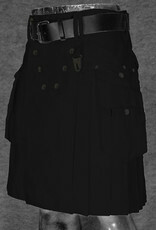 But wearing the Survival kilt is an experience all it’s own. 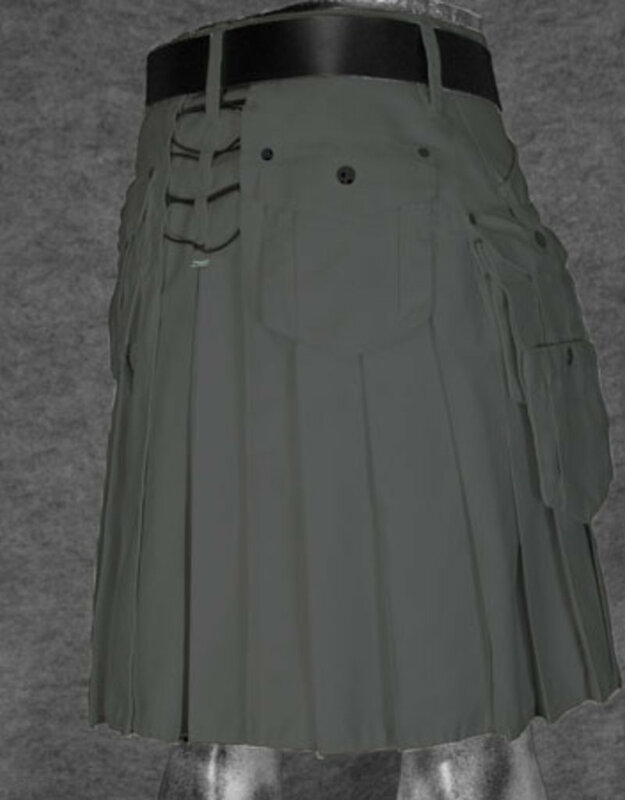 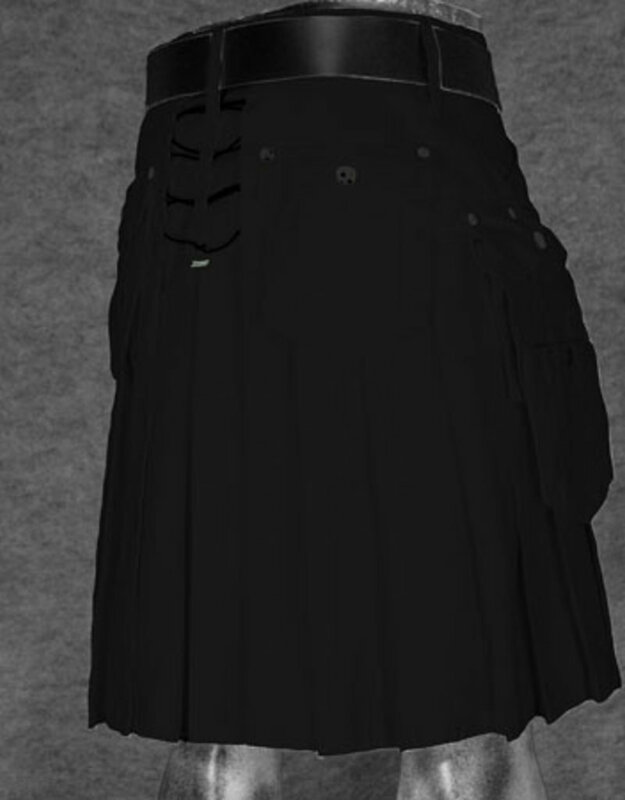 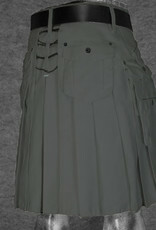 The kilt is constructed from a 6.5oz 100% Cotton Ripstop fabric in Black, Gray, Olive, or Coyote. They also come in a soft and supple 9oz 100% Cotton Twill in Tan or Basil. Each cargo pocket on the Survival can be pulled off and used like a belt pack. Wading across a river and don’t want to get your stuff wet? 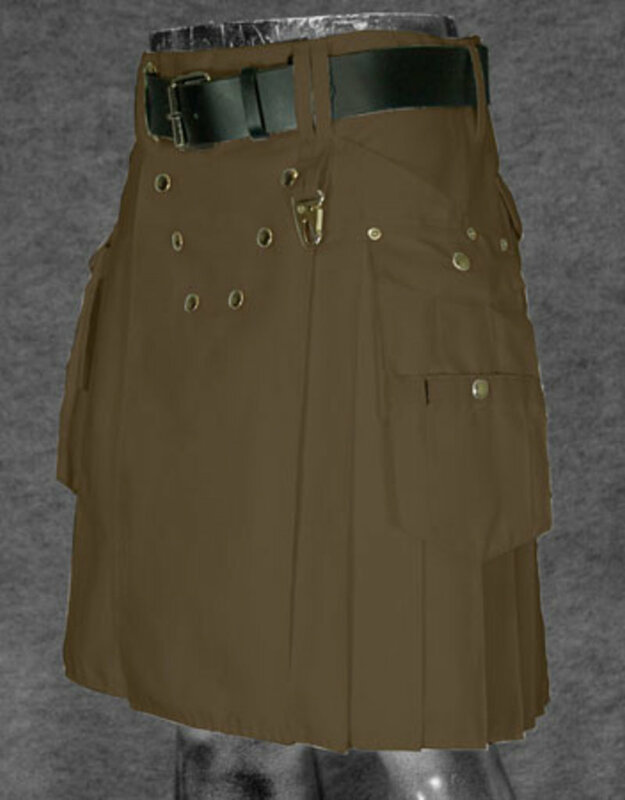 Pull off the cargo pockets, stuff the rest of the Utilikilt inside and toss it across to shore. Pockets stuffed full as you get to the airport? Pull off the pockets, drop them on the x-ray conveyor belt, and stride on through the metal detector. Each cargo pocket is equipped with elastic-rimmed gussets, so it’ll expand to fit all your junk, and fold right back to flat after use. 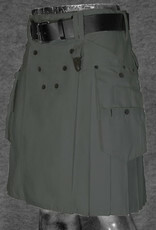 Wear the Survival for awhile and you’ll be shocked at just how useful these removable pockets really are. Key clasp on the front of the Survival keeps your massive keychain out of the way and leaves room for more beer in the pockets. Circular UK trinity logo (Form Follows Function) and “Utilikilts” printed in block letters below.